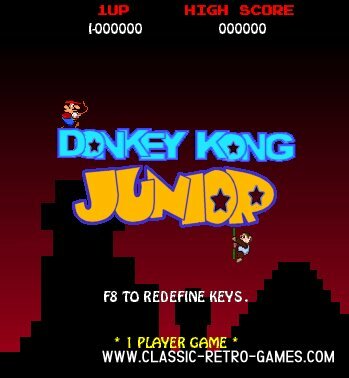 All Games / Platform / Donkey Kong Jr.
Another great remake by Crozza Remakes. 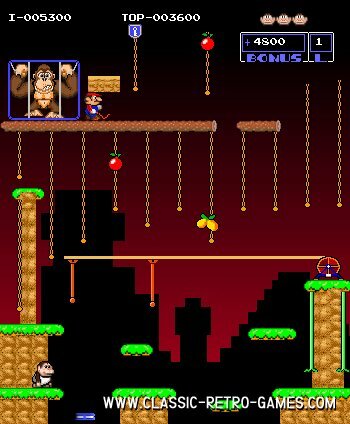 Donkey Kong Jr. is a platformer that many of us will remember playing. Not only was this retro game released as arcade game and 8bit homecomputer and consoles, it was also released as handlheld game. The game formula was and -is still- great! 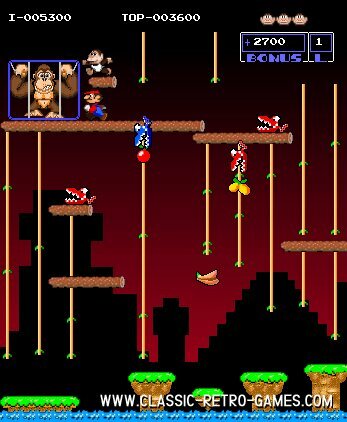 DOWNLOAD NOW: DONKEY KONG JR. This free Windows remake of the Nintendo classic from 1982 preserves the gameplay just excellent. The graphics are polished, yes, but it's still as great as the retro orginal. Just download and enjoy! Currently rated: 4.8 / 5 stars by 196 gamers.